It's yet another example of the new government undoing what the previous one had put in place. This time, the Liberals are moving on repealing some of the controversial changes to how people get or lose Canadian citizenship. That includes the changes that gave the government the power to revoke the Canadian citizenship of dual citizens if they are convicted of terrorism, high treason, spying, membership in an armed force or organized armed conflict with Canada. We talk to Immigration, Refugees and Citizenship Minister John McCallum and Conservative immigration critic Michelle Rempel. The Liberal government isn't wasting any time repealing some of the more controversial changes to how people obtain — or lose — Canadian citizenship. "There should be one class, not two classes, of Canadians," Citizenship and Immigration Minister John McCallum said in an interview on The House. During the recent election campaign, Prime Minister Justin Trudeau promised to repeal the Conservatives' controversial bill C-24, also known as the Strengthening Canadian Citizenship Act. The bill, which became law last year, gave the government the power to remove Canadian citizenship from people convicted of terrorism, espionage or treason if they also held foreign citizenship. Now the Conservative immigration critic, Michelle Rempel said the piece of legislation was meant to keep Canadians safe. "The spirit of this law was to value the principle I think any Canadian citizen understands," she said in a separate interview on the program. "We have a successful country because we value the safety of our communities." McCallum doesn't buy that reasoning. "I think that's nonsense," he said bluntly. "We believe in this principle whether the person is good or bad. I think it's in accord with our principle that all Canadians are equal." Rempel said she still has concerns about the rolling back of the legislation. "Just in terms of prioritisation, I find it surprising. It's like putting the cart before the horse," she said. She called on the government to table the Immigration Levels report, a report which tells provincial governments and stakeholder groups how many people will be eligible to enter the country under different immigration streams. "The government hasn't tabled that yet this year, and in the history of this report, it's never been tabled later than Nov. 28 of a calendar year," Rempel said. "Why is this important in the context of this bill? Because it's difficult to evaluate this piece of legislation without understanding how the government is going to set out its immigration levels." "I'm wondering if the government is trying to hide something," she added. "I think what they're trying to do is a bit of a bait and switch here. I really hope they table this report here which is significantly overdue as soon as possible." McCallum said that the report isn't "relevant" to his government's move to repeal C-24. "We are doing this because we think that certain barriers to citizenship, which [the Conservatives] erected, are inappropriate," he said. "We will be releasing the levels of immigration for 2016 within a couple weeks, but I don't really see what one has to do with the other." 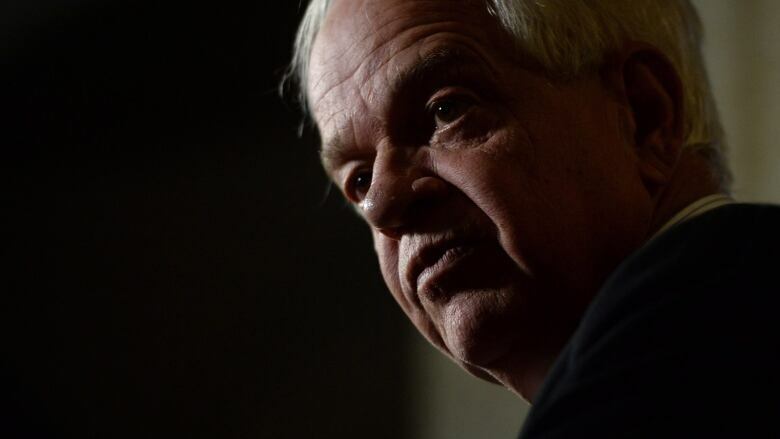 McCallum also touched on other aspects of C-24 that the Liberals will move to repeal, as well as a revamping of the citizenship handbook for new Canadians, which he criticized as being too militarized. "If you ask an average Canadian what Canada means, maybe they'll say hockey, maybe they'll say something else," he said. "They're not likely to say the War of 1812. So we'll revise this book. We want to make it useful for potential citizens — we don't want it to be political one way or the other. I'm not anti-military, but I do think it was a little heavy on the military, a little heavy on the so-called barbaric cultural practices. I do think it had an ideological element in there." McCallum added he will be looking at revising the handbook along with Heritage Minister Melanie Joly and Indigenous Affairs Minister Carolyn Bennett.